CHRONOSPHERE is a Thrash Metal group started in Greece back in 2012. Their third album they have released, “Red n' Roll” came out in May of this year. While not the most innovative or savage Thrash around, CHRONOSPHERE isn't a bad band nor does their necessarily fall flat. But when it comes to Thrash I think people will be looking for more intensity. The line between Thrash and Speed Metal can be a bit blurry but no matter which genre I’m talking about, rapid powerful playing is key. CHRONOSPHERE never really pushes the envelope but this is a Fun album anyway. “Alu Card” is an interesting title for the track, which is full of eerie chanting that degrades like a record skipping, which makes it all the more hauntingly supernatural. Despite this, the rest of the album isn't as dark as this opening would suggest. Although, that being said “Demonized” is one of the more brutal entries. “Before it's Gone” is much lighter Metal, almost Thrash Rock which sounds strange in my opinion. Thankfully, “Picking Up My Pieces”is a straight-up Thrash piece with that dingy darkness underlying it. The vocals have their own rhythm that complements the guitars. Speaking of guitars there is some interesting solo work here that makes this one easy to head-bang to. 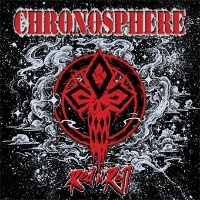 This review was honestly kind of tough, because I love genre mashups and bands that kind of defy convention by doing their own thing, but I find myself feeling like CHRONOSPHERE should strive for more of that Thrash intensity. Similar chords played in the same key for several songs in a row just makes everything melt together into a blob that is less than the sum of its parts. None of these songs are really bad on their own but listening to them over and over in a row just turns into a blur. Below is a link to the video for “Picking Up My Pieces”; give the video a watch and maybe you'll think I'm crazy for not giving a higher score.